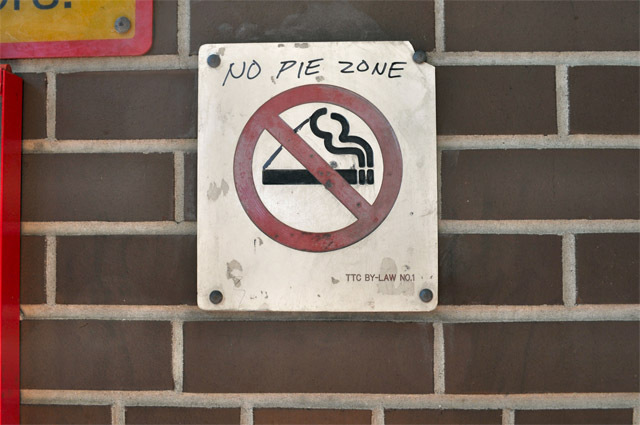 No Smoking or No Pie? Photo of Today. There’s a ton of examples if you just Google search ‘no smoking no pie’. Here’s two. The first is a sign in Toronto at the TTC’s (Toronto Transit Commission) Royal York Station…somewhere in or on the building. There’s also one in Ossington station and probably others (if they haven’t been cleaned yet).